HOURS: 10:00 – 13:00. Half day. Tea break included. 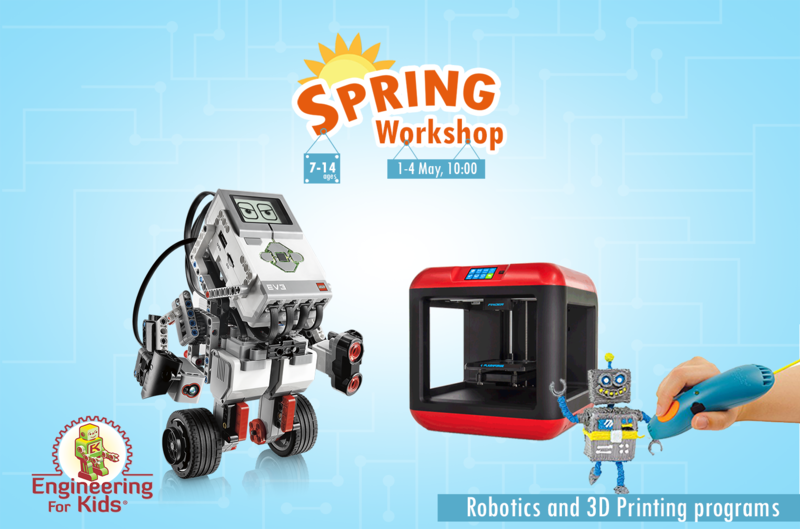 EV3 ROBOTICS: This module is designed to introduce students to the world of not only building, but also programming basic robots. In the first lesson, kids will create a demolition robot and use the brick buttons to control its actions. In the second lesson, students will approach a very advanced task, driving blindfolded an obstacles course, using only sensor assistance. Kids will learn the basics of why operators are important and how humans and machines can interact. 3D PRINTING: 3D printing is one of the most widely applicable and funny inventions on the tech scene today! In this module, students will explore the basic concepts of 3D printing and computer-aided design (CAD) using Autodesk® Tinkercad. Also, students will experiment with 3D pens to create their own monsters, developing their artistic skills.